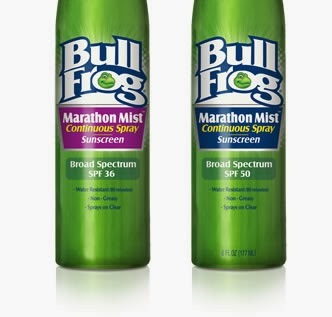 What are some great year round options - A great choice for summer and winter athletes is oil-free BullFrog Sunscreen. Originally invented for surfers, BullFrog goes on clear and offers broad-spectrum sun protection in a durable water-resistant formula. Whether you snow board, ski, or simply toss a few snowballs, Bull Frog is a reliable sunscreen engineered to stay put during sports and outdoor activities. Remember, the sun's damaging rays can harm your skin even during cold winter months and on cloudy days. My husband was very pleased when we received this for review purposes. He was familiar with the brand as he loves outdoor athletics. He also has recently became more involved in bicycling which requires additional sun protection - BullFrog Marathon Mist is perfect for that. Disclosure: I received a product for review purposes. I did not receive monetary compensation and was not required to write a positive review.